Volvo Penta is a world-leading supplier of engines and complete power systems for marine and industrial applications. Volvo strives to give customers the right product, with all the right qualities. Volvo works with a very strong commitment to quality, safety and environmental protection. Cummins Inc. designs, manufactures and sells diesel and alternative fuel engines. Innovation and excellence are the best words to describe the group. Cummins engines combine power, quality and safety. 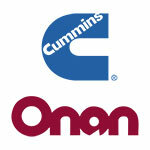 Cummins Onan is the specialist in marine generators. Leader in the yachting market for more than 60 years, the brand offers a range of innovative and technologically advanced products. Cummins Onan's range of generators meet international standards and certifications. Raymarine, the world leader in marine electronics, develops and manufactures the most comprehensive range of electronic equipment for the recreational boating and light commercial marine markets. Combining cutting edge technology and design for intuitive use, Raymarine products are ideally suited to the needs of today’s sailors and cruisers. Bowers & Wilkins is a global manufacturer of audio systems, offering a range of products for all applications. B&W, with his expertise for technological innovation, is always looking to create the perfect speaker. Considered as an expert in its field, the group provides a dedicated range of marine speakers, combining ease of use and exceptional audio quality. A luxury range of organic bedding & towels uniquely created for PRESTIGE by Mona Lison. Ever so gently, Mona Lison fine beddings intensify the feeling of well-being. Their aesthetic style is both elegant and definitively contemporary. Using only natural and organic materials, the creations of Mona Lison bring together refinement, softness, comfort and authenticity. With Mona Lison, dream of cruising with conscience-free mind and spirit, in new generation luxury, where high-end quality, ethics and comfort combine. NVequipment, French specialist for equipment for 40 years, designs and manufactures outdoor yachts protections, which are adjusted to design the needs of each motor yacht. The Vendée-based company, expert in design and process, builds products perfectly adapted to the use of each owner. NV protects, customizes and adds a touch of style and comfort for each owner, program and boat type. NVequipment launches the first collection of Outdoor cushions, specifically design for satisfy crew aboard. Create a cosy and trendy ambiance that suits you! Williams Jet Tenders are the world’s leading manufacturer of luxury yacht tenders, building a range of tenders to fit yachts from 38ft to 150ft+. Well known for building high performance yet supremely practical tenders that carry passengers from ship to shore in style and comfort. Created in 1999 at the initiative of the Beneteau Group, EYB is a subsidiary for pre-owned boats. A unique online service, EYB has created a website that centralises and standardises the largest selection of second hands boats from the brands of the Bénéteau group (Bénéteau, Jeanneau, Lagoon, CNB, Prestige, Four Winns, Scarab, Glastron, Wellcraft). EYB is the best choice for selling or buying your pre-owned boat. EYB is the number one network used by European marine professionals for the sale or purchase of pre-owned boats. EYB relies on a network of some 200 dealerships located throughout Europe. Specialised in the preparation and commissioning of new boats to be delivered to marine professionals, the mission of SAS is to carry out the final step of delivering a boat. bandofboats.com is a community services platform for everyone with a passion for the sea. Unique on the boating market, Band of Boats offers a complete solution for you to enjoy a truly on-demand boating experience. More than 16 000 boats are already available on the platform for weekly or weekend rentals, worldwide, with or without skippers, together with Sailogy. The Awlgrip brand is the undisputed world leader in the Yacht Professional Topsides segment. Within the yacht industry, Awlgrip's reputation is one of universal trust and respect. This reputation was built on consistent technical innovation, stringent quality controls, and the superlative finish of Awlgrip products, which have long since represented the standard against which all others are measured.